JACKSONVILLE, Fla.— Alan Jackson may not have been singing about this small Florida town when he sang his hit “Chattahoochee,” but nevertheless, this historic town begs a story to be told. With a population today of just over 3,000, Chattahoochee, Florida is a true rural gem. For such a small town, Chattahoochee holds a lot of history, from housing the state’s first penitentiary to the state’s first psychiatric hospital. Chattahoochee, distinguished by its high bluffs, sits on the edge of the Apalachicola River. It’s separated by only a bridge from the small neighboring town of Sneads, Florida. One of Chattahoochee’s most notable features is its own Florida State Hospital, which in 1876 became Florida’s first state psychiatric hospital. Today, Florida State Hospital is one of Chattahoochee’s biggest employers. In 1975, it was the center of a Supreme Court case. O’Connor v. Donaldson was a landmark decision for mental health practices. 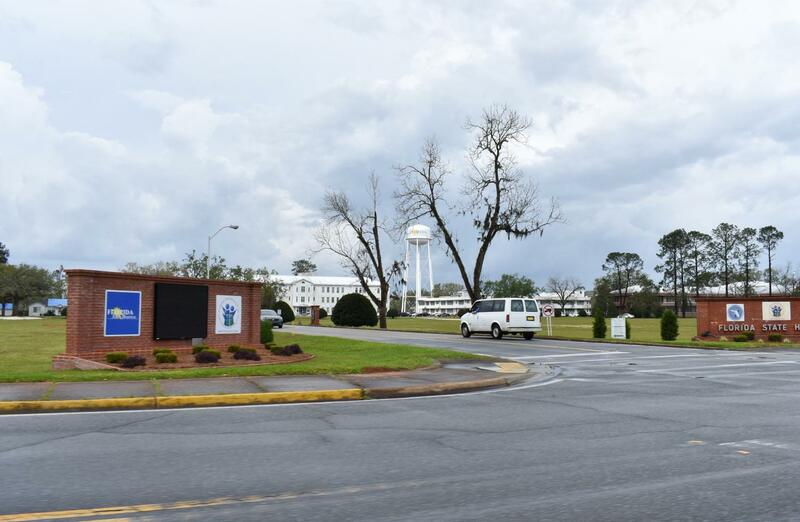 The case came about when a resident at Florida State Hospital, Kenneth Donaldson, filed a lawsuit against the facility. Although Donaldson had challenged the continuation of his commitment on multiple occasions, each challenge resulted in a denial. Florida State Hospital later became the center of the 1989 film “Chattahoochee” starring Gary Oldman and Dennis Hopper. The film was based on the experience of resident Chris Calhoun, who resided in the hospital from 1956 to 1962. Aside from Chattahoochee’s interesting contributions to the mental health field, the town also boasts contributions to America’s history. Before Florida State Hospital opened as a mental health facility, it was Florida’s first state penitentiary. It first opened as a penitentiary in 1869 and within the year, it came to house 42 inmates and employ 14 guards. In 1871, however, the penitentiary fell under civilian jurisdiction and Malachi Martin was appointed as the warden of the institution. During this time, the prison garnered a reputation for its poor treatment of the inmates. This reputation was spearheaded by Martin, who reportedly used prison labor to build houses and personal vineyards. Martin became known for his cruel and corrupt nature. The book “The American Siberian,” written in 1891, painted Chattahoochee as a place of inhumane practices and savagery. Before Chattahoochee was Chattahoochee at all, it became the location of the Scott Massacre. In 1817, Creek, African, and Seminole warriors ambushed a U.S. Army boat headed up the Apalachicola River. The boat was commanded by Lieutenant Richard Scott. 44 people were killed in the ambush. The massacre led President James Monroe to order Andrew Jackson’s 1818 invasion of Florida. The battle was instrumental in Florida becoming a part of the United States. Chattahoochee is a town seeped in historical landmarks, some mixed with tragedy, some with victory. Today, it stands as a proud reminder of all that has been overcome and a beacon for all that has yet to be accomplished.